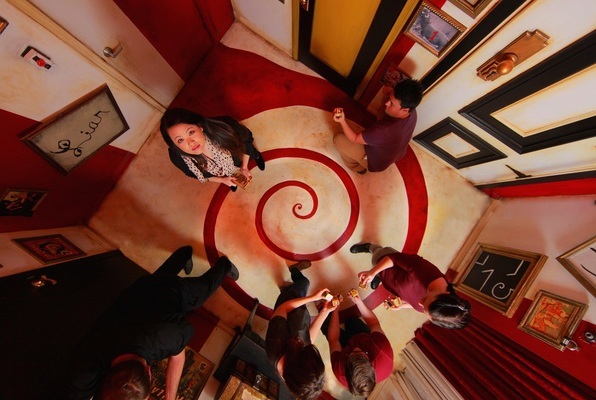 An escape room is a real life adventure game where you and your friends are trapped in a room full of puzzles. With only 1 hour to escape, you must work as a team to search for clues and discover all the secrets before time runs out. Cross Roads builds on this traditional idea with unique game designs and movie quality sets. Making this one of the most immersive games in California! This is not your average escape room. 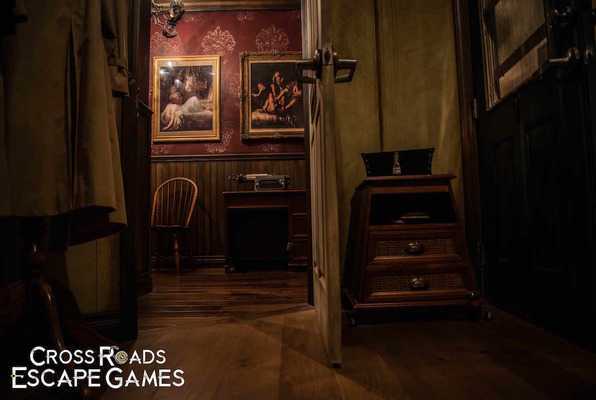 Designed by enthusiasts for enthusiasts, Cross Roads gives you the next level of escape games! We currently have 2 games to choose from, The Hex Room and The Fun House. 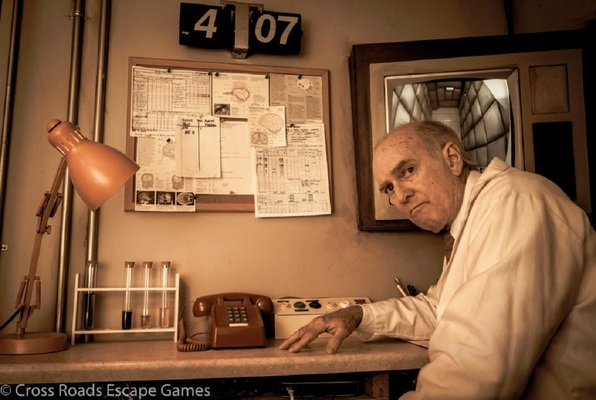 Last reviews of escape rooms by "Cross Roads Escape Games"
By far the best escape rooms we’ve ever done. The production value is unreal. We did the psych ward and the fun house, both well worth the money. THE BEST! After doing the Psych Ward yesterday I can totally see why they have 5 Stars. We did a family event that my brother had gotten us for a Xmas present and we had a total blast. The "orderly" that helps you totally stays in part through out the whole game and gently assists you when you get stuck which allows you to move along. So many different puzzles and clues and it keeps you on your toes. We are looking forward to going back and doing the Hex Room next. We totally enjoyed ourselves. It's also great for team building and we are thinking of coming here for a company event. This place is great!!! There are 2 escape rooms and a new game called the Psych Ward. Our family has done the hex room escape game twice, and last night took a crack at the Psych ward which creates 2 teams, 1 of the sane and 1 of the insane, and puts them together to collect points and try to win against the other teams. The customer service is hands down great, and everyone sticks to the character so well. The games are some of the most tricky and integrated I've played yet. The atmosphere is just fun!! Honestly if you want to have fun this is place to go.